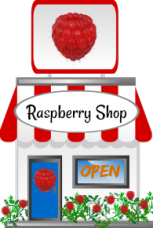 Your Choice Site for EVERYTHING Raspberry! 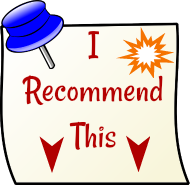 If you are looking for facts and general information about raspberries, you have come to the right place! 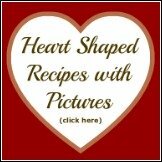 Raspberry-Depot.com is a website devoted to EVERYTHING Raspberry related ... so visiting here is a berry good idea! A "Raspberry" is a fruit. There are different varieties of raspberries available to the home gardener - red, purple, gold and black. Raspberries are easy to grow for the home gardener. Red raspberries are available in two types of crops: as "normal cultivars" that produce a single crop in early summer, and, as "ever-bearing cultivars" that produce a second crop in the late summer or early fall. The root system of raspberries is perennial, but each shoot is biennial, and survives for 2 years, (producing the fruit in the second year). 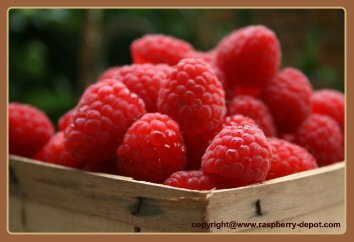 When ripe, raspberries separate easily from the core, which remains attached to the plant. It is a Raspberry Fact - Unlike many other fruits, unripe raspberries do not ripen after they are picked! Blackberries are not the same as "black raspberries". Blackberries have a "core" that stays in the fruit when it is picked, and, unlike black raspberry canes which grow upright, blackberry canes are long and trailing. 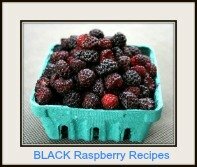 Black raspberries are sometimes referred to as "Black Caps"
Raspberries can be preserved by freezing, drying or canning. One cup of raspberries has 60.28 calories...that is great raspberry fact for those who are "counting calories". Raspberries are very nutritious. That is one of the most important raspberry facts to know! Raspberries are high in fibre. One cup of raspberries provides 8.34 g of dietary fibre. Raspberries are a leading source of "ellagic acid", which helps protect the body from cancer. Raspberries rank in the top 10 antioxidant-high fruits and vegetables! Antioxidants are believed to help prevent and repair oxidative stress, a process that damages body cells and has been linked to the development of diseases such as cancer, heart disease and Alzheimer's disease. Raspberries provide important anti-inflammatories, including anthocyanins (the pigments in red, purple and blue fruits), which are believed to help reduce cardiovascular disease and diabetes, and help to improve eyesight and memory functions. Raspberries, especially the seeds, are increasing in importance in the cosmeceuticals market (skin care products with health benefits).The oil in the seeds of the raspberries is rich in vitamin E, omega-3 fatty acids and has a natural SPF (sun protection factor) of 25 to 50. 1 pint of raspberries = 2 cups = 500 ml.= 3/4 lb. = (about 1/3 kg.). About 2 pints (4 cups) of raspberries are needed for one 9 inch pie. 1 - 1 1/4 cups = 10 ounce package of frozen raspberries. One cup of raspberries equals about 125 grams. Raspberries are extremely versatile fruits and can be used in sauces, jams and jellies, ice cream, salads, pies, cakes, cookies, muffins, desserts, pancakes, scones, and more! Raspberries are very popular in a great variety of drinks, such as juices, smoothies, and punch.